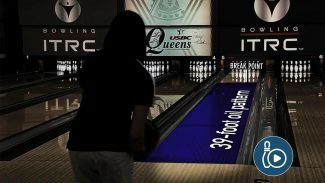 The world of bowling begins here! Take the first step in learning how to become a better bowler by browsing our full library of bowling videos. Follow along as our experts teach you each of the essential bowling tips tips and bowler techniques you need to discover how to bowl. JOIN NOW to gain access to ALL of our bowling videos! 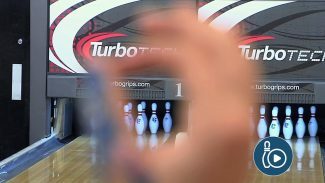 Our bowling instructional videos, with step-by-step demonstrations will get you able to progress from bowling basics to more challenging bowling techniques. So whether you’re a first-time bowler or a seasoned bowler, there’s plenty for unique bowling lessons for everybody. Learn how to bowl a strike, how to improve your bowling stance, refine your bowling approach and bowling release, and much more. We also have tips for improving your bowling arsenal. Everything we know, you’ll know! And if you’re already an expert, we have a series of advanced bowling instruction videos you can use to test your skills and push your bowling score. Get started by selecting one of the great bowling videos below! Every bowler has a dominant eye. Bowling coaches Rod Ross and Lou Marquez talk about eye dominance and how it affects the setup. Marquez demonstrates how to determine which eye is dominant, and how to position your setup using that information.